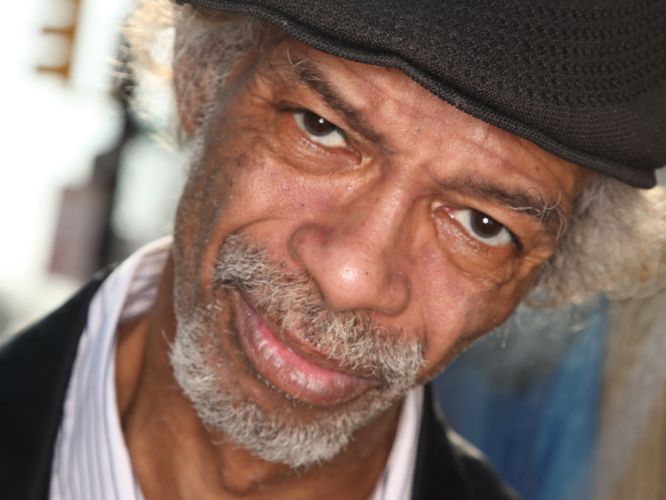 Gil Scott-Heron, a poet and musician largely credited as being one of the forefathers of hip-hop music, passed away on Friday afternoon (May 27) at his home in New York. Scott-Heron’s book publisher confirmed the artist was 62-years-old at the time of his death. The singer, who recently made a comeback with his 2010 album, I’m New Here, publicly struggled with drugs over the last decade and spent numerous stints in jail during that time due to his addiction. As of press time, his exact cause of death is unknown. Scott-Heron is most known for his spoken word song, “The Revolution Will Not Be Televised,” but his extensive catalog has inspired an abundance of material from the hip-hop world, most notably Kanye West. Yeezy built many of his own tracks using Scott-Heron’s pieces. “Lost in the World” and “Who Will Survive in America” from West’s last album, My Beautiful Dark Twisted Fantasy, both sampled Scott-Heron’s 1970 song “Comment #1,” while “My Way Home” from Kanye’s sophomore effort, Late Registration, used Scott-Heron’s “Home is Where the Hatred Is,” from 1971. 2pac, Common, The Game, Mos Def, Grand Puba, Freeway, Atmosphere, Masta Ace, the Jungle Brothers, The Coup, Brother Ali and.40 Cal, were some of the other acts that have sampled Scott-Heron’s work on their songs. You were a towering figure in the worlds of music, poetry & politics. Thank you for igniting a fire in me, and for being original.